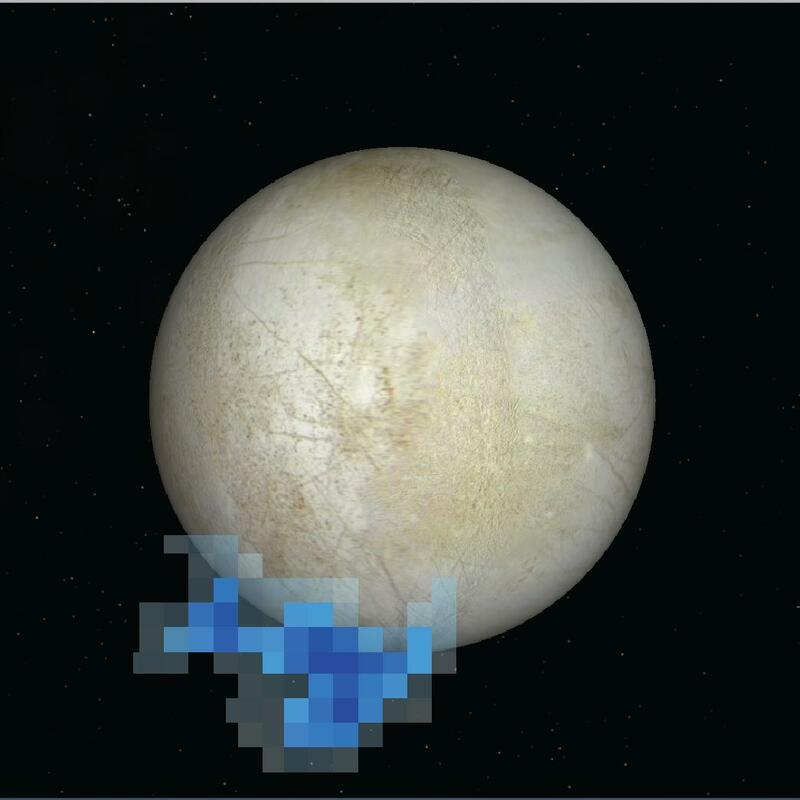 This graphic shows the location of water vapor detected over Europa's south pole in observations taken by NASA's Hubble Space Telescope in December 2012. This is the first strong evidence of water plumes erupting off Europa's surface. Hubble didn't photograph plumes, but spectroscopically detected auroral emissions from oxygen and hydrogen. The aurora is powered by Jupiter's magnetic field. This is only the second moon in the solar system found ejecting water vapor from the frigid surface. 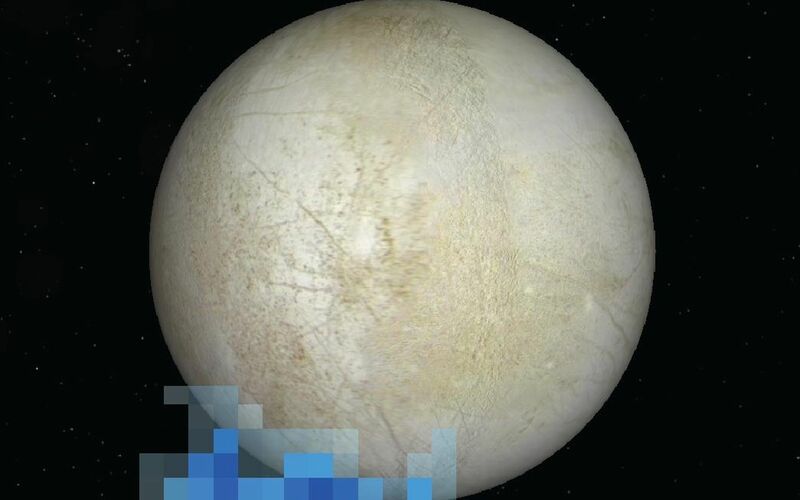 The image of Europa is derived from a global surface map generated from combined observations taken by NASA's Voyager and Galileo space probes. The Hubble Space Telescope is a project of international cooperation between NASA and the European Space Agency. NASA's Goddard Space Flight Center manages the telescope. The Space Telescope Science Institute (STScI) conducts Hubble science operations. 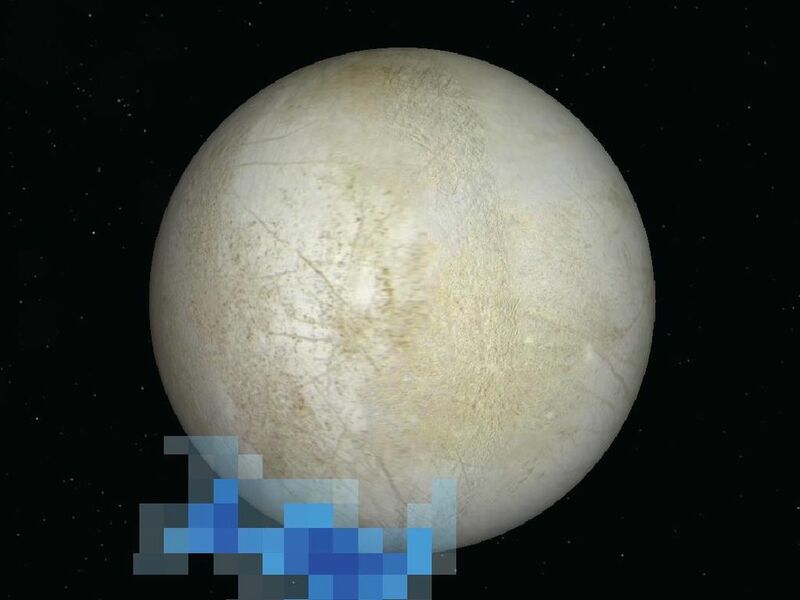 STScI is operated for NASA by the Association of Universities for Research in Astronomy, Inc., in Washington, D.C.
To view the images of the evidence for plumes visit: http://www.nasa.gov/content/goddard/hubble-europa-water-vapor. For more information about the Hubble Space Telescope, visit: http://www.nasa.gov/hubble.